We all dream of a clear and flawless skin. The maximum time we take for any beauty product selection is for a foundation because it gives a flawless, spot free and even canvas for our makeup. As we age, we develop some skin issues until and unless we dedicate some time for our skin care routine and follow it religiously. This isn’t always possible in this fast paced era of life. While juggling with job, home and other activities, we make our skin age faster than it should. Today’s article is about those five ingredients that treat dark spots effectively and are easily available within your home and kitchen. As lemon is a citrus fruit, the citric acid in the lemon juice not only improves skin complexion making you fairer over the time but also treats acne well due to its anti-septic properties. Here we will talk about how to use lemon juice to treat dark spots. To take advantage of lemon’s exfoliating and whitening properties, squeeze out some lemon juice. Take a cotton ball, soak it in the lemon juice and apply to the dark spots, rubbing for 5 minutes every day. Take some time and stay back in shade after the treatment (Avoid sun exposure immediately). By a week, you will start noticing that the dark spots are diminishing and the skin has started matching the natural skin color. Hurray! Apart from the dark spot treatment, onion acts as an anti-aging ingredient for your skin. 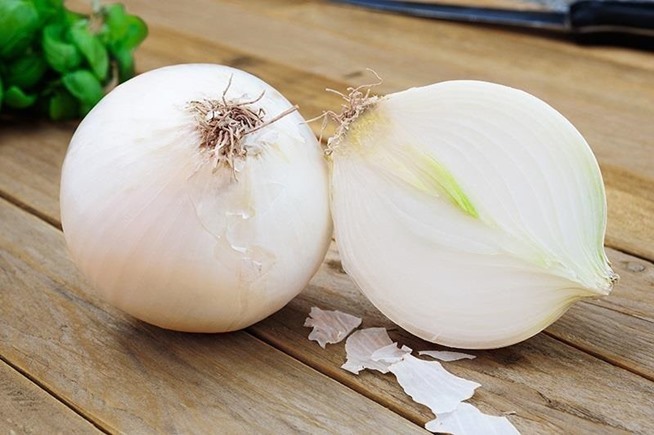 Life is simpler if you have chosen an onion as a dark spot remedy. Simply slice a juicy, white and small sized onion and rub that slice on dark spots for 5 minutes. The results will start showing around the consecutive tenth day of usage. Also, onions improve the complexion and remove hyper pigmentation from skin. An aloe plant is the master key to every beauty secret whether your skin or your hair. For dark spot treatment, extract the gel from an Aloe Vera plant and apply with light hand on the dark spot area. Massage for 5-7 minutes and let the skin soak up the aloe vera gel. Wash with regular water and see the visible difference in your skin tone in a couple of days as aloe vera possesses skin rejuvenating qualities. Papaya is another ingredient that possesses several amazing properties that nourish and benefit skin. It makes skin soft and also does a wonderful job as a cleanser. The only issue is it isn’t suitable for oily or acne prone skin. However, if you want to treat dark spots, take papaya pulp and mesh it. Apply all over the face and keep for 15 minutes. Wash with chilled water. Use this treatment every alternate day. The enzymes in papaya, papain, helps in reducing dark spots and makes skin soft and glowing. This is the best tried and tested remedy for an even skin toned skin and also for getting rid of dark spots. Take a banana and peel it; cut into thin slices. Mesh and squeeze out one lemon juice into the puree. Apply for 15-20 minutes every day, gently massaging at the end and wash it off with cold water. You will see a clear difference in your skin tone, hyper pigmentation and skin glow in few days. All these remedies work great if followed with determination and consistency. I am benefiting from the banana and lemon mask as well as banana juice the most. Try them out and share which worked best for you! Will Kiehl’s Clearly Corrective Dark Spot Solution Actually Clear Out Those Mean Looking Dark Spots?? Does Porcelana Dark Spot Corrector+ Sunscreen Really Work On Dark Spots? I have never tried onion though! absolutttelyyy brilliant tips, sumera. I am going to try a few of these for sure! !